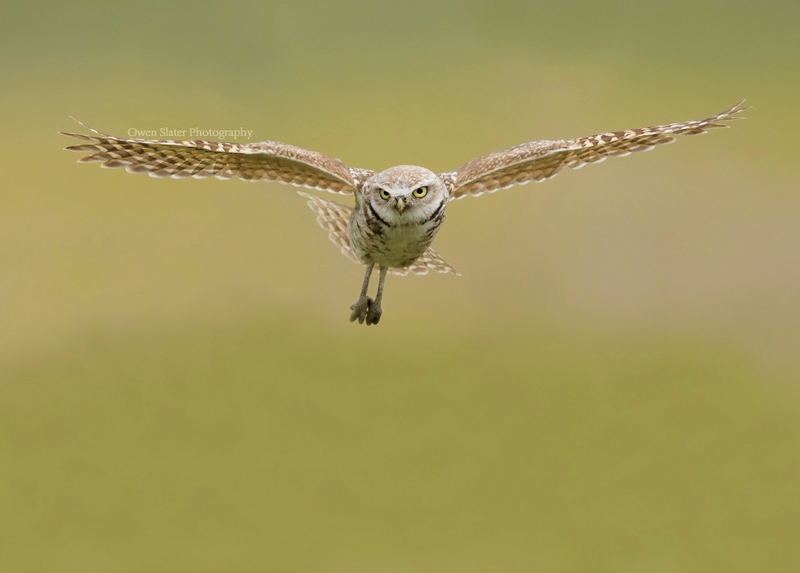 Like many, owls are one of my favourite groups of birds to photograph. Early this summer I had an awesome week with 3 different species ranging in size from tiny to tall, endangered to numerous, with all of them having the common theme of putting on a great display of flight for me. It started off in Grasslands, with the charismatic, endangered burrowing owl that came to hunt insects right next to where I had set up my gear. 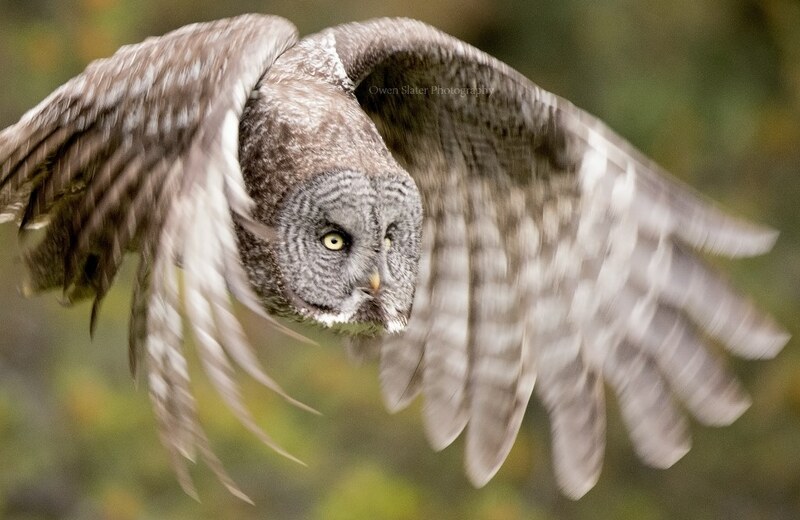 Next stop was Banff and my good owl luck continued with the first animal I came across being an impressive great grey owl. It was conveniently perched right next to a roadside pullout, and didn’t seem bothered at all by the traffic. Despite being so visible, most people didn’t even see it as they drove past! He’s an image as it hunted for a vole in the grass. Later that same day I got a tip about a northern pygmy owl hanging around the area. Sure enough, after a bit of waiting I spotted this tiny little owl. 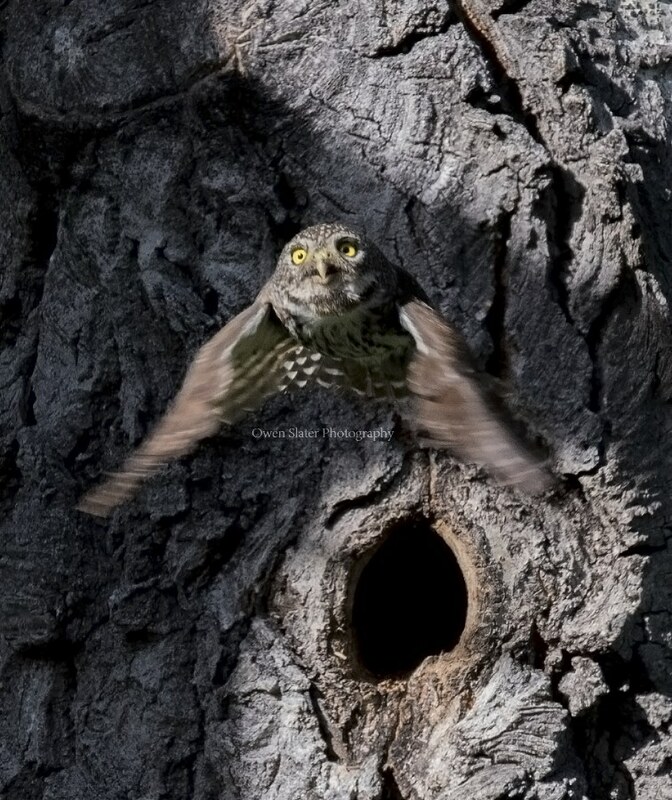 It flew directly into a tree cavity before I could get a picture, so I waited for its exit. I barely had time to prepare. It seemed to almost shoot out of the cavity, and as I held the shutter release button I wasn’t sure if I was quick enough. It wasn’t until I got home and downloaded the images that I found this one. Needless to say, it was a great week of owl photography and one I won’t soon forget!